When it comes to solving problems related to software development, an essential part is played by the software development companies which have their task of proving viable and affordable solutions to the clients, as and when required. And with the growth of the software industry, the number of companies has been increasing in the USA which has made the choices difficult for the people to choose the best software development company in the USA. 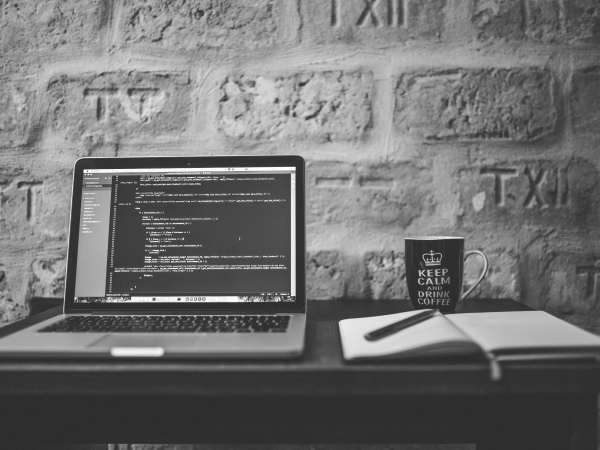 In this article, we've discussed the best software development companies in the USA which have made a sustainable presence in the industry over the past few years. Praxent is a software company based in the city of Austin, Texas which has been performing well enough to be out in the list of best software development companies in the USA. It primarily focuses on web development and mobile app development which forms almost half of its work. However, if your requirements are high & there's a need for software testing too then this company might not be affordable for you. In such case; you can take help of any standalone software testing company having the guaranteed high quality performance at an affordable price. The custom software development brings about half the revenue of this software development company alone. It was established in the year 200 to make the services in Houston cheaper and has met its goal well ahead of time when it helped the city of Houston save more than 40 million dollars on software development services. The company has a workforce of around 100 employees and the services can be availed at a rate of less than $200 per hour. The clients have great praise for this software development company which has made this a reputed name across the state. Table XI is again a well-known company which has a workforce of about 40 employees who are highly efficient and productive. The company relies on them for the timely and efficient delivery of all of its projects on these employees only. The key areas where the work of this software development company is focussed is Custom Software development, Mobile App Development and also UI Design. Also, the company has most of its client base from the healthcare and manufacturing sector and generally takes the projects worth $75000 or above. This company has made itself completely dependent on Artificial Intelligence and this has put the company on the list of the best software development companies in the USA. The company has been functional since the year 2002 from the city of Chicago, where it has its headquarters. Another company which deserves itself to be in the list mentioning the best software development companies in the USA is MojoTech. This company has its headquarters in the city of Providence in Rhode Island. Although the company has a workforce of almost 50 employees, it has been able to make a massive presence in various cities of the United States such as New York, Boulder and Washington DC. The significant areas of focus of this company are web development, mobile app development, custom software development and UX/UI Development. The company has made itself a leader in the area of cloud-based service which has benefitted it a lot since the year 2008. The client base of this company is highly diverse and it receives projects from enterprises, small businesses, consumer services as well as financial services. The highly execution oriented work norms of the company have made it efficient in gaining huge revenues too. This company has a big name and has made itself into a successful full-time company in a short time, after spawning as a startup. This company has to be included in the list of the best software development company in the USA because it started from scratch and has established its offices in far off lands such as the United Kingdom and Belarus. The workforce of FrogSlayer consists of about 200 employees, who are hired after a thorough process of training. This has made the employees highly diligent and disciplined. The company aims at providing sustainable software development solution to all of its clients which include some big name such as Microsoft, US Bank, Dell, etc. The different services offered by this company are production environment setup, web designing, prototype generation, system planning for softwares, maintenance services for softwares and also custom software development. When it comes to ScienceSoft, it is by far the best software development company in the USA because of its high-quality services and very low rates, which is a key feature in its affordability of this company for various startups. This is one of the oldest companies working in the field of software development and was found in the year 1989 in McKinney, Texas. Unlike most of the other companies which have diverse areas of focus, this company has concentrated its workforce only in the field of custom software development and has gained immense success. This company is quite affordable at less than $50 per hour and its clients come from various sectors like Information Technology, Financial Softwares, Healthcare Services, etc. The primary clients of this company who have repeatedly sought its services include NASA, IBM, Nestle, Walmart, Viber, etc. The company is run by an efficient workforce of about 900 employees and has been able to complete all the commitments well on time, which has earned it a good name in the software development industry. The number of software development companies in the USA has been increasing at a high pace which makes the competition hard for the existing ones. Hence, you should not feel, as if we have not listed some company then it is not a good one. The companies listed here are not exhaustive and there are many others too which have been providing excellent services apart from these.